When you imagine the ideal beach, you picture a coastline of gorgeous white sand, clear blue waters. Not too many people think of galloping horses! Well, Pakiri Beach is just that and is the perfect place for a wee escape from the city life of Auckland. The isolation makes it an idyllic and peaceful place when looking for some down time. Pakiri Beach doesn’t allow amplified music and sometimes, silence is the only thing you need to get away from your hectic schedule. Nestled within the Tawharanui Regional Park lies a golden beach called Anchor Bay. Fill up the tank because this spot is an 80-minute drive from Auckland, making Anchor Bay the perfect day trip to get away from it all. This pristine slice of Kiwi beauty has golden sand, the cleanest and clearest of water and the smooth waves, making it a favourite for people who want a calming swim or to just get their tan on. If you want a little something extra special, head down to the rock pools which are deep enough to dive bomb into. This is one of the most famous beaches on the North Shore and there’s a very good reason for that! Takapuna Beach has calm waters that ensure safe but fun swim session but there’s also a whole lot surrounding the beach to keep you entertained. Cafes, ice-cream shops and a playground it’s an ideal beach for a trip with friends or family as there’s always something to do. The calm waters make this beach a favourite for not only regular locals but also sailors as Takapuna Beach also has strong and changeable winds. If you’re looking for something similar to Takapuna Beach but want something a little less populated, head on over to Cheltenham Beach. This local gem is absolutely adored by the people in Devonport as it is calm, quiet and a great place to walk their dog. Surrounding Cheltenham are local dairy’s and fish and chips shops to enhance the Kiwi small town beach vibe. Our fave would be Milk Bar as they do some of the best milkshakes which are so much more enjoyable while tanning on Cheltenham’s soft sand. Famous for being the ideal beach for a nice walk to clear your mind, Bucklands Beach provides a stunning scenery and walkway from Half Moon Bay to Farm Cove through Pakuranga. This beach walk is enjoyed by all Aucklanders and visitors, from families, friends and dog walkers. Cyclists are also welcome to join the walkway which makes it a favourite for many people. Cockle Bay is a tidal beach with a huge patch of sand, making it a favourite for people who want to lie around rather than swim. As it is a tidal beach, Cockle Bay is the perfect beach for shellfish hunting during the season from March 1st to September 31st – a great activity for family and friends! Located in Glendowie, Karaka Bay is sprinkled with Pohutukawa trees, providing shade and making it a favourite for people who want to have a beachside picnic. If you’re lucky enough to catch this beach at low tide, you can enjoy a long walk along the cliffs to St. Heliers. Not to mention, Karaka Bay also have a beach swing to make it a little extra special! Located just over from Bucklands Beach this beautiful north-facing spot is the perfect destination, with spectacular views stretching from Auckland City to the Coromandel Ranges. Maraetai provides safe swimming with grassed verges suitable for picnicking and relaxing. Also, there's good parking and a grassed area and playground. A safe, tranquil little beach that’s perfect for a short walk, mountain biking and treading the water in a relaxing ocean. The white sand at Awhitu Regional Park reflects the sunlight to make the vibe a little brighter and is a favourite beach for friends and families that want a nice picnic and a relaxing day out. This one is for the people who wanna get down and dirty in action on the beach. This black sand beach is ideal for those water lovers as the waters are suitable for activities like paragliding and surfing. But the rugged sand of Kariotahi Beach makes it a favourite for people that want to test out their 4 wheel drive! A highly remote beach that is only known among the people within the peninsula, South Kaipara Peninsula is an 80-minute drive from Auckland in South Head and is the ideal retreat. The beautiful long stretch of clean white sand makes this beach seem like a utopia and is the perfect place to find some inner peace. 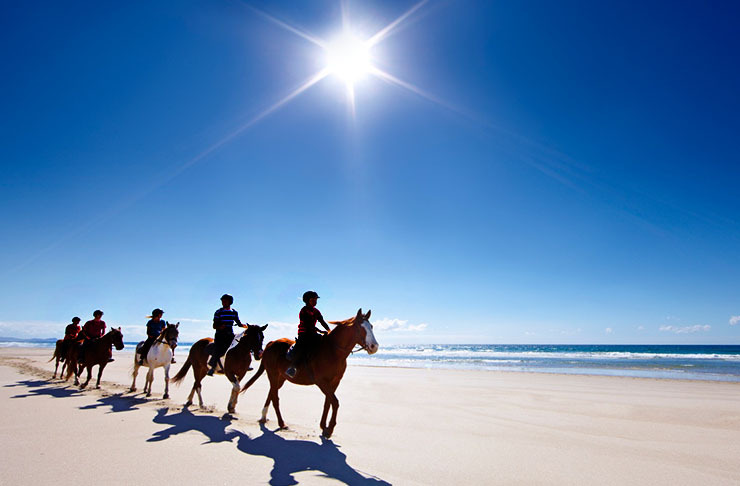 Less than an hour’s drive from the city, Bethells Beach is the place to get some activity in to your relaxing day trip. This includes hiking, fishing, swimming and building sandcastles. This one is a little more sheltered and tucked away so it’s the beach for those who want to treat this beach trip some quite time for themselves. From surfing to lounging under an umbrella or rolling down the dunes, Muriwai has a lot to offer. Surf lifesavers are on patrol at peak times as the rips can get a bit full on, and the black sand can be absolutely scorching so be sure to utilise our jandal life hack! On your way back to the big smoke, don’t forget to have a nosy at the gannet colony. This one is for all you surfers out there with Piha’s killer swells and massive scale. Seriously, Piha Beach is so big that no matter how many people are populating it with their huge surfboards, it’ll never feel overwhelming or crowded. This makes it not only ideal for surfers but also people who want to go on long strolls on the black sand. If breath-taking scenery is what you’re after, Karekare Beach is the place to go. To confirm the beauty of this place, the infamous film The Piano was filmed at this very beach! This makes it a common beach for people who want to do some test photoshoots as your photos are guaranteed to look 10/10 if taken here. This beach is the perfect combination between a city setting and beach scenery. If lying in the sun on the golden sand gets a bit old, pop over to one of the many cafes for an iced coffee or tropical smoothie to freshen up. For those wanting something a little stronger, popping over to the local pub for a beer is never a bad idea. Mission Bay Beach is always going off with groups of family and friends so it’s the perfect spot for those who want lively Jersey Shore vibes. On a weekday morning, think of this beach as your very own private one because it is absolutely empty as all the locals are going about their daily routine. In the evenings though, Herne Bay Beach is pumping with all the locals unintentionally coming together as they’re all unwinding from a stressful day. This beach has strong community vibes and is perfect for those who want some crowds to keep them company. Considering the location being so central, Pt. Chevalier Beach is a beach that is surprisingly quiet. It is extremely dog friendly, so it’s a favourite among the pet owners of Auckland. The waters are calm to make it safe for swimming and the nearby playground makes it a great beach to spend the day for families with kids. 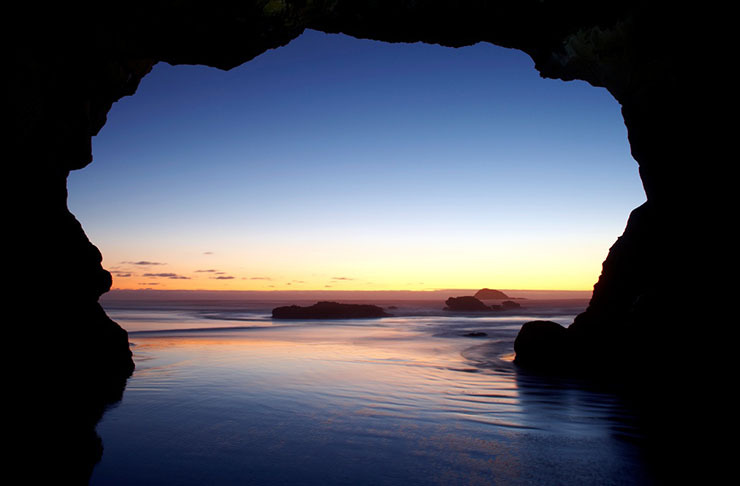 This picturesque beach arguably gives the best views out of all the beaches in Central Auckland. From Okahu Bay, you can get a good look of the Auckland skyline, Hauraki Gulf and wee little Devonport. This beach has got it all from a basketball court and a playground with a flying fox – a Kiwi favourite! To make the most of this beach, you can hire a kayak and get your paddle on. If you don’t want to get in the water, rollerblades are up for hire too!